Do you have a problem with cats pooping in your garden? For some of us, cats are our very best friends, but for others they can be a real nuisance. Thankfully, surrounded by fields as we are, our own cats have found somewhere else to head off to ‘do their business’ but it can be a real problem for urban gardeners. Apart from the annoyance of finding cat mess among your plants, there’s a health reason why you need to discourage them from using your soil as a toilet. Toxoplasmosis, a parasitic disease that’s extremely dangerous for pregnant women or anyone with a suppressed immune system, can be carried in cat faeces or in garden soil. Over the years I’ve heard of many remedies for preventing cats pooping in gardens ranging from citrus fruit skins scattered around the veg, automatic water squirters, planting rue, moth balls, various essential oils and the more difficult for Irish gardeners to come by… tiger poo. I’m sure they all have their merits but one effective method we found to prevent our feline friends bopping down among the lettuce and radishes in a community garden was to scatter dried spices around the beds. Cats don’t like sneezy pepper around them as they squat. After the first dose of cayenne pepper sprinkled around the soil the problem stopped. Others have tried chilli powder and some swear by cinnamon (which also repels ants so a double bonus). However, as Mona mentions in the comments, there’s no easy fix. The pepper seems to work long enough for the cats to go elsewhere but will have to be reapplied to keep them away. 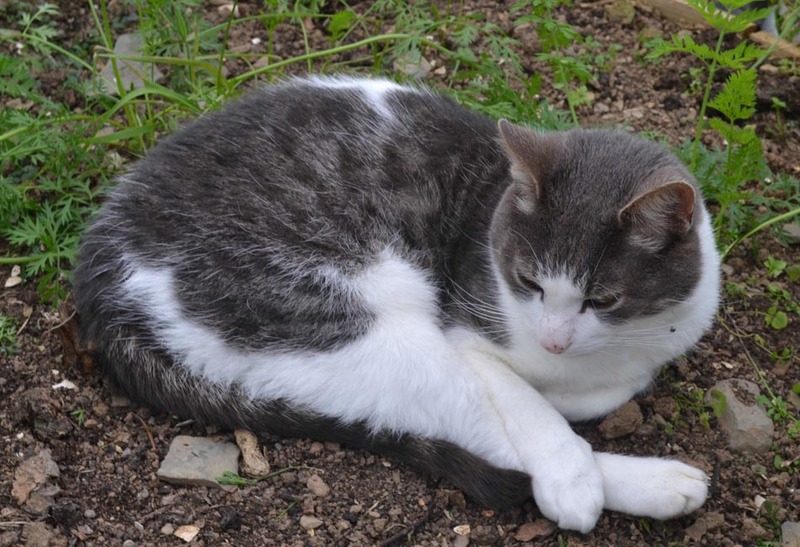 Have you a tried and tested cure for keeping cats away from your vegetable beds? That’s an interesting theory, thanks. I’d say it would have to be a fairly substantial plant though. I planted two in our garden a few years ago and they vanished! I can only assume the cats had a party while we were sleeping. Interesting use and good for the soil. I use vinegar infused with citrus peels to clean my house and, eventually, when the peels are used up and totally soaked in vinegar, I place them around my plants and it does seem to work to some degree because I have several cats who visit but have never seen poop etc. in the veg bed.